ThIs was so good, my 9 year old raved about it to Grandma! I cook a lot so she’s not very picky but this chicken she loved. Used Founders Lager, and have a second dinner marinating now with ginger ale for tonight. Question, though, when you grill have you added BBQ sauce too? I didn’t but was wondering if it would be good or not? And, leftovers were dry, daughter didn’t like so I reserved some marinade this morning to use on leftovers heating. If beer (alcohol) isn’t an option, what you recommend to replace it? 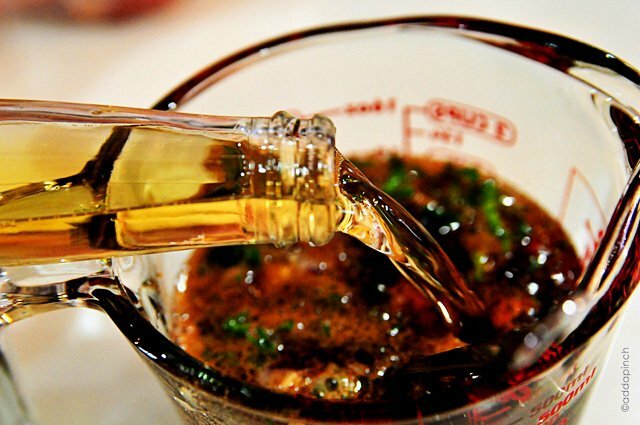 I give a couple of substitutions in the recipe notes that have worked well for me – ginger ale or apple cider (not apple cider vinegar). Hey Robyn, in substitution of the beer can I use soya sauce. I’ve not tried that Veli. I do list substitutes in the recipe that work well instead of beer. Thanks! Hey Robyn, in substitution for beer can use soya sauce as well? The recipe sounds delicious. Thanks. The apple cider version appeals to me. I love barbecued foods, but at age 56, I now love quickly and easy more! So I don’t have a grill. I used to cook all my chicken recipes by baking chicken thighs in a 9×9 pan half way through, pouring off the fat/juices, then pouring on a homemade sauce or marinade recipe directly into the pan, over thea chicken. Then finish baking it and serving over Brown rice with a green vegetable. 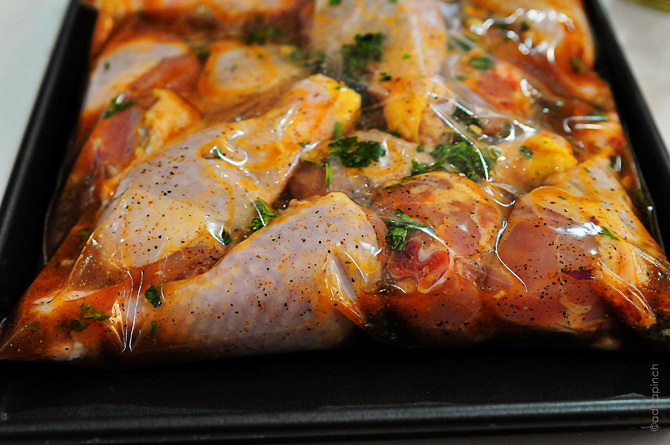 Saves the time and steps of marinating in a bag. The only problem was having to clean the oven! Due to back pain, I need to make cooking even easier and faster, so now I microwave the chicken thighs in a covered Corningware casserole, pour off the grease, then pour a marinade over the chicken and microwave a few more minutes. It comes out so moist and delicious. From the time I open the chicken package and remove the chicken with a fork into the casserole dish, until done, it’s 15 – 20 minutes, and only a fork and the casserole dish to wash. Plus the rice/veg pot, and my plate and utensils. I’m going to try your marinade. I bet it will be delicious. Thank you. What can I serve this with? 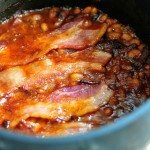 Can you recommend an easy side dish preferably either bread or rice related? We love this with all types of sides from green house salads, Coleslaw, Southern Potato Salad, Slow Cooker Baked Potatoes, Southern Baked Beans and more. For rice, an easy side dish could be my Instant Pot Brown Rice. Really any favorite side dish you’d enjoy when you grill out or with grilled chicken will be delicious! This is so great to hear, Geoff! I’m so happy you enjoy it too! Sure! Hope you enjoy it! Thanks! 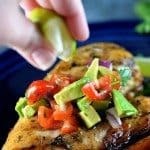 Absolutely w/o a doubt, the best Grilled Chicken Marinade I’ve ever tried! I allowed the chicken to marinade a Min of 8hrs. The seasoning was flat out perfect! This will always be my GO TO MARINDE for Grilled Chicken!!! Happy to know you enjoy it Gerald! Thanks! I added 2 bay leaves to the marinade, and used some fancy apple juice from Kroger. This recipe is excellent. I definitely thought I had overcooked the chicken because I was trying to do too much at once but this recipe made the chicken so forgiving and tender. My girlfriend said it is her favorite! I’m going to experiment with different combos of apple juice, apple cider vinegar, and sparkling or hard apple cider and I will report back. I’m so happy to hear that you enjoy the marinade, Nate! Thanks! Hi, when you say chopped onion, do you mean an actual onion chopped up? Or would it be minced onion or onion powder that you get in the spice aisle? I use a chopped onion, but you can absolutely substitute with minced onion or onion powder if you like. If you can start over before adding to your chicken, I would do that. I’m not sure of the results using apple cider vinegar. I do use apple cider sometimes instead of the beer. Hope this helps. Thanks! I made this marinade tonight and marinated the chicken strips in it for an hour. It was delicious but overnight would have been even better! I’m so happy you enjoy it, Helen! Now I’m craving some wraps! 🙂 Thanks! Do you think a beer with lime in it would be good or would the flavors clash? I’ve not tried a flavored beer in this recipe before. Thanks! Sure! I use this for chicken cooked on my stovetop and in my oven all the time. So delicious! 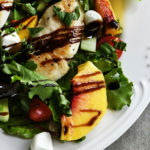 I am making this recipe today, but not grilling it how long would i need to bake it for and what temperature please ? I made this grilled chicken last night.. 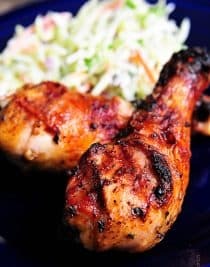 It was the BEST chicken I have ever tried… I ran out of beer at home, so I skipped that ingredient… My husband and son just loved it & have asked me to make this again next week! Thank you so much for sharing your recipe. Wish you all the best! I’ve not used either of those in this recipe before. I do give substitutes at the end of the recipe if you don’t want to use beer. Enjoy the marinade! Thanks! 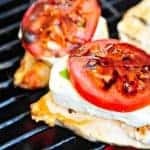 Hi,I don’t have a grill but I would love to bake it using your marinade recipe. Any idea,How would I bake it in the oven? Just remove the chicken from your marinade and grill as usual. Enjoy! Can I freeze this with the marinade? My recipe is enough marinade for 5 pounds of chicken. You can use my Conversion Chart if you wish. Thanks! So simple and awesome, made it for a homely get together and everyone loved it, including the kids. Have this marinating in the fridge! I’ve used chicken fillets instead. Can I cook it in the sauce in the oven? ?… I’m going to serve with fluffy rice. I have my chicken in your marinade for tonight’s dinner. I was wondering if you have ever tried putting honey or maple syrup in your marinade? I almost did it but wanted to try your exact recipe the first time at least. Just curious. Can’t wait to eat the chicken tonight. Crazy question but I am wondering if I’m misreading. That seems like a very small amount of spices/seasoning in a large amount of liquid. I’m not a very experienced cooker- am I nuts? 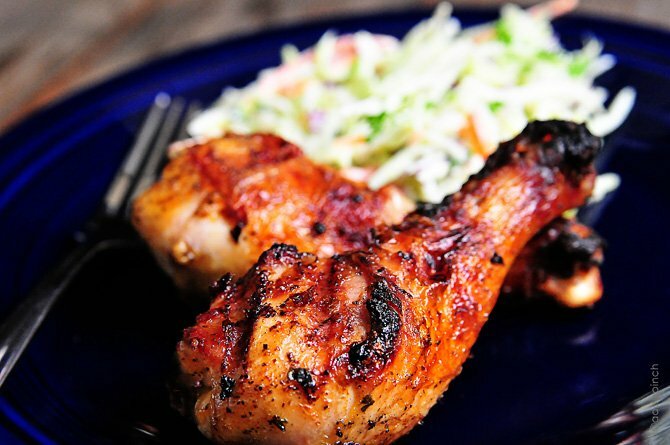 We think it is perfectly balanced and packs just the right amount of flavor in the marinade. Sounds good – I didn’t mean any disrespect. If you were going to sub onion powder for the diced onions, do you have an amount you’d recommend? Hi, would it taste good too if I added lemon or lime juice ? What do you do with the leftover marinade? Thank you for posting this! I added this marinade to a double match of wings, and I can’t wait to cook them tonight for dinner! They’ve been marinating since yesterday at 6pm. Question, and I may have just missed it, do you have a specific grill temp range to cook these at? This recipe is amazing! I’ve made it tons of times. Sometimes I also add cilantro/lime/chili powder/chopped jalapeno. I almost always add citrus – lemon or lime. Add any beer that has been sitting in your fridge! When prepping all the products for it I’ll often double/triple the recipe and toss and freeze until a later date. It works really well. I didn’t have beer, so I substituted beer for apple juice and apple cider vinegar. Delicious!! Quick question, how long does the marinade last in the fridge? If I was to save it? Kids can eat with the beer marinade ? Super tasty. Will be making again. Only had time to marinate for 3 hours but It still was tasty. Great Recipe! I didn’t see it mentioned……Is this done OK in the OVEN. If so …what Temp and Time? 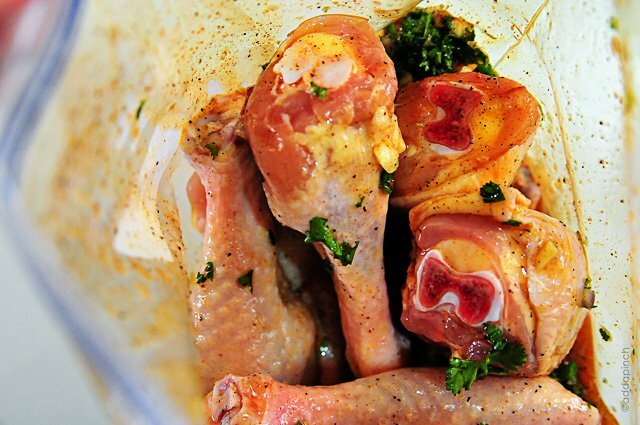 You can absolutely use this chicken marinade for chicken cooked in the oven. You’ll just want to follow your favorite chicken recipe for chicken in the oven. We love it with my simple baked chicken recipe. Did you cook this in the oven? Regarding the chicken marinade, will it work on skinless chicken? On skinless and boneless? I love every recipe of yours I have tried and I have tried a bunch. I have looked, but I cannot find an app for Add A Pinch. I would like to have your recipes in one place and not have to save to PinIt. I lose track of them and spend too much time trying to remember where I saved it. At what temperature and how long should it bake/grill. 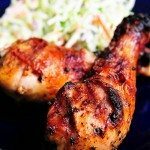 After following the chicken marinade recipe and instructions, you can then grill as you normally grill your chicken. 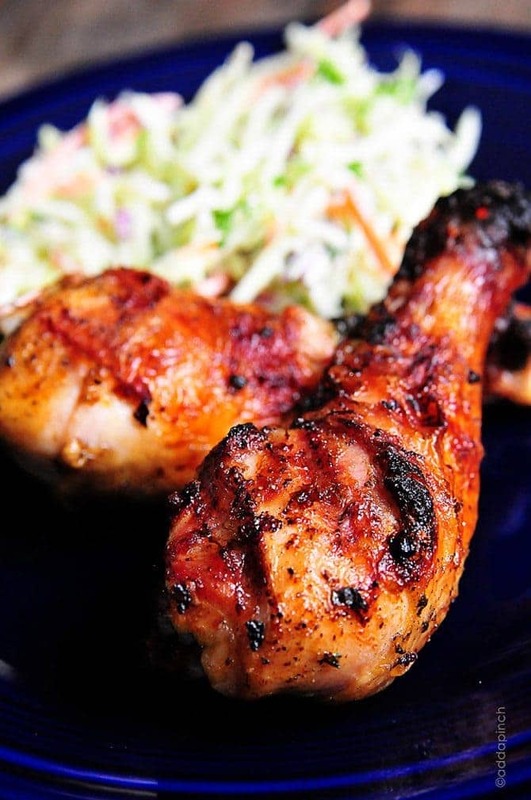 If you decide to bake the chicken, you can certainly do so after using this marinade. 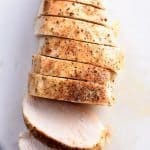 My Simple Chicken Breast recipe instructions will tell you how long and what temp to bake it. But if you use this to bake the chicken breasts after using the marinade recipe, don’t add the ingredients (olive oil, salt, pepper, etc) from the Simple Baked Chicken Breasts recipe – just use the time and temp. 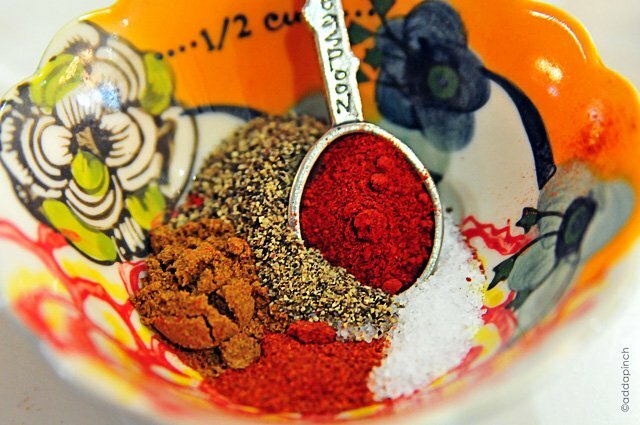 will this marinade work on fried chicken? have you tried it out? I have not tried this marinade on fried chicken but it sounds good. If you try it, let me know how it works for you. Thanks. Made it tonight exactly as written, but with fresh squeezed grapefruit juice – right off our tree – instead of apple juice. Added a little sugar to offset the tangy grapefruit. Whole family loved it! Great recipe – thank you!! How lucky you are to have the trees to just pick your own! It sounds great with the fresh grapefruit.